Fast Start training provides an immediate comfort level for new leaders and enables them to say, "I can do this!" Fast Start training is the first step for any new volunteer and is to be delivered immediately after a new leader registers and before he or she meets with any youth member. Fast Start training can be completed on the interenet at www.myscouting.org or through the use of a Fast Start Video. 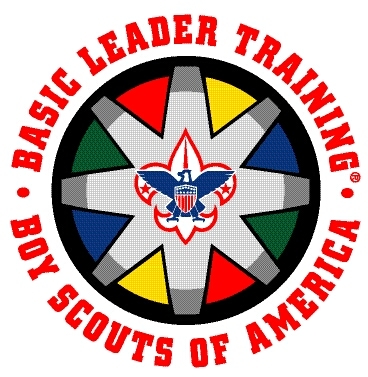 The new Basic Leader Training comprises two parts: "This is Scouting" for all unit-level leaders and Leader Specific training, which is based on the leader's unit level position. Basic Leader Training is designed for maximum flexibility. "This is Scouting" is designed to be taken as on-line or through a DVD where group presentation is desired. Leader Specific Training can be delivered over time - training on one or more evenings a week or month - or in a one day training event that incorporates all program areas. It is suitable for large or small groups and may be presented to leaders of one or more units each time. Each council and district may decide the appropriate delivery method, keeping in mind that the focus is to remove roadblocks and achieve 100 percent trained leaders. "This is Scouting" was added to the BSA's on-line Learning Center and is available through My Scouting. "This is Scouting" replaces New Leader Essentials as a required course for Cub Scout, Boy Scout, and Venturing volunteers to earn the "Trained" leader emblem. Councils should eliminate New Leader Essentials from all training calendars (Note: See the "MyScouting" graphic link on the council website homepage. "This is Scouting" can be reached through this link). While the primary delivery method for "This is Scouting" is on-line, a DVD . No. 36118, will be available after April 1, from Supply for areas where internet access is limited or where group presentation is desired. All Scouters are encouraged to create a MyScouting account and access this training through the MyScouting portal, as credit for this training will be recorded on their PAS record upon completion. 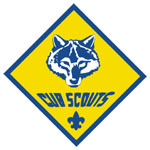 Tiger Cub den leaders, Cub Scout den leaders, Webelos den leaders, Cubmasters, and pack committee members can complete this training in one day or two or three evenings. The leader is considered trained upon completion of "This is Scouting" and the Leader Specific training for that position. For Scoutmasters and assistant Scoutmasters, this training is divided into four parts. The first three parts concentrate on troop operation and can he completed in one full day of three evenings. The fourth part, which focuses on outdoor skills, lasts approximately a day and a half, depending on the skill level of the new leader The leader is considered trained upon completion of "This is Scouting", Scoutmaster and Assistant Scoutmaster Leader Specific training, and Introduction to Outdoor Leader Skills. For troop committee members, Leader Specific training includes the Troop Committee Challenge. By following the Troop Committee Training Syllabus, participants can complete the challenge in three hours, after which they are considered trained. 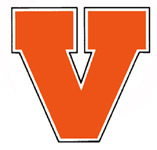 This training provides the specific knowledge a new Varsity Coach or assistant Coach needs to assume an adult leadership role in a Varsity Scout team. Part of the training continuum, this training is to be presented to new Varsity Coaches and assistant Coaches after the completion of "This is Scouting" training. 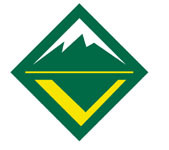 Developed for Venturing Advisors, assistant Advisors, and crew committee members, this training incorporates Venturing's current adult leader training "This is Scouting" and Venturing Leader Specific Training can be completed in one day, after which the leader is considered to be trained.